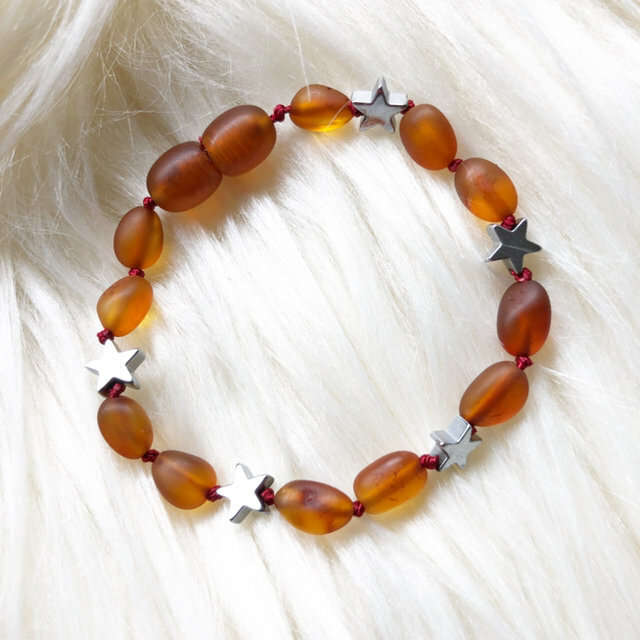 New, never worn, Amber Teething bracelet or anklet. 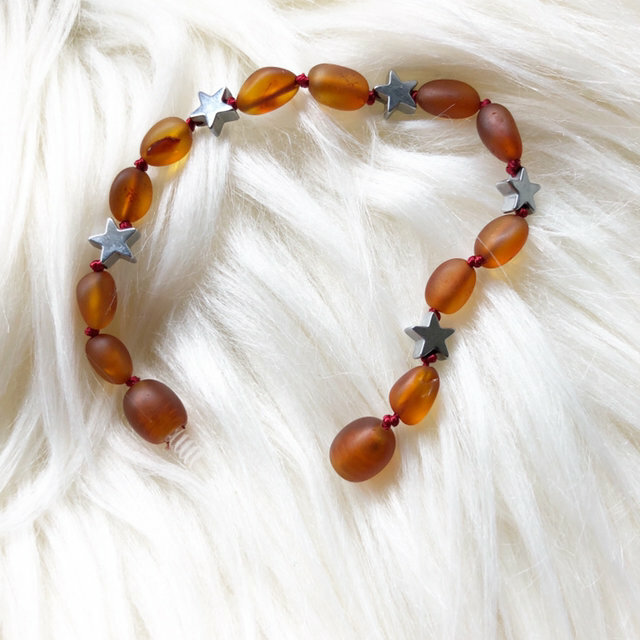 Frosted Cognac color with silver stars, knitted between each bead. Measures 5.5” or 14cm. Purchased from an Etsy store, but just a little too big for my twin girls. So adorable! !